For the first time, Malawian films have been nominated three times in different categories at the 2018 African Viewer’s Choice Awards (AMVCA). The Movies “Road to Sunrise” and “Nyasaland” have been nominated in the category of Best Movie in Southern Africa, and Road to Sunrise has also been nominated in the category of Best Overall Movie. The 2018 AMVCA nominees in 27 categories were announced on Saturday, June 30 by the duo of popular Ghanaian actress and TV Presenter, Joselyn Dumas, and Nigerian comedian and actor Bovi Via, a syndicated broadcast on all Africa Magic channels on DStv and GOtv. The two films are up against three other nominees from Southern Africa Region namely Decent directed by Awal Abdulfatal, Salute directed by Philipe Talavera and Jomako black democracy directed by Abraham Kabwe. In an interview with Malawi News Agency director of Road to Sunrise, Shem Joyah said this was a great moment for the entire production team of the film. He said the nominations meant that the film industry was slowly getting recognition at the international stage. “If we continue making quality films our industry will be a force to reckon with in the next few years to come,” he said. He said the category in which his film is nominated will be decided by a panel of judges and not by public voting. Road to Sunrise is a movie where two prostitutes find hope in each other as they search for the road to redemption after being exploited by men and ridiculed by the world. “The nominations are a good development to the Malawian film industry and this will probably attract sponsors to the struggling film industry in the country,” she said. Mhango is the first filmmaker from Malawi to have won an award in the 2016 AMVCAs. 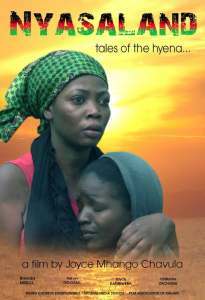 Nyasaland is a film where a woman, upon her return to the village to see her sick father, is shocked to find him dead and buried. The 2018 AMVCAs are brought to viewers across the continent by Africa Magic in association with MultiChoice Africa and the sponsors are Airtel and Konga. Speaking on the Milestone telecast, Channel Director-Africa Magic, Wangi Mba Uzoukwu, revealed that close to 3000 entries were received across the continent by Fostina Mkandawire, Mana.